Renewable Energy provides both perspective and detail on the relative merits and state of progress of technologies for utilizing the various 'renewables'. The analysis considers emissions, sustainability, cost implications and energy security, as political and economic pressures move society towards a low-carbon future. 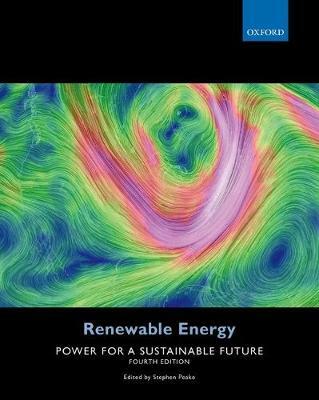 From an overview of basic energy conversion processes, through a discussion of the individual renewable sources, to a concluding examination of the prospects for their integration into national and international networks and the outlook for renewable energy, this book provides a valuable insight into prospects for the renewables.